I Can Be Your Guide! You need help with one of the above topics? I have spent years giving workshops, presentations and private consultations on these subjects. Just send me an email and I can help you find the solution for your troubles. Since 2014, I have lived a traveler’s life as a digital nomad. I have no permanent home or job; instead I travel the world while earning money online. My main income is generated by this blog. My additional income comes from book sales. As of March 2018, I have self-published 19 books, which have been translated into up to four languages. I have been a digital nomad since November 2014. Directly after my studies, I moved out of my comfort zone and never looked back. Now I live and work where others only go for vacations, discovering a new place to open my Mac every day. What sounds like a dream became my reality. Let’s work together and we’ll find a way, to make it your reality, as well! I realized very early that travel is one of my greatest passions. Even before my life as a nomad, I tried to explore the world! Now, I have been to more than 60 countries and gained a lot of experience in low budget traveling, world traveling, long-term traveling and solo traveling. You can benefit from my experience. Ask me any question, and I’ll gladly answer! Blogging as your main job? Back in 2013, I didn’t even think such a thing was possible. Now, it’s my everyday life, and my business. Since my trip around the world, blogging has become the center of my work and my main source of income. I’ve acquired more than 100.000 followers through various social networks. I’ll show you how to do it, too! Ever since I was a teenager, I wanted to publish a book. And it was on my “Three Before Thirty” list – along with finishing a Master’s Degree, traveling the world. By age 28, I achieved all three of these goals. But this was not the end. I have since published more than 18 books, including a series to help newcomers enter into the nomadic lifestyle. Click this link for more information on City Guides for Digital Nomads. If you also want to write and self-publish a book, I can help you achieve your goals! 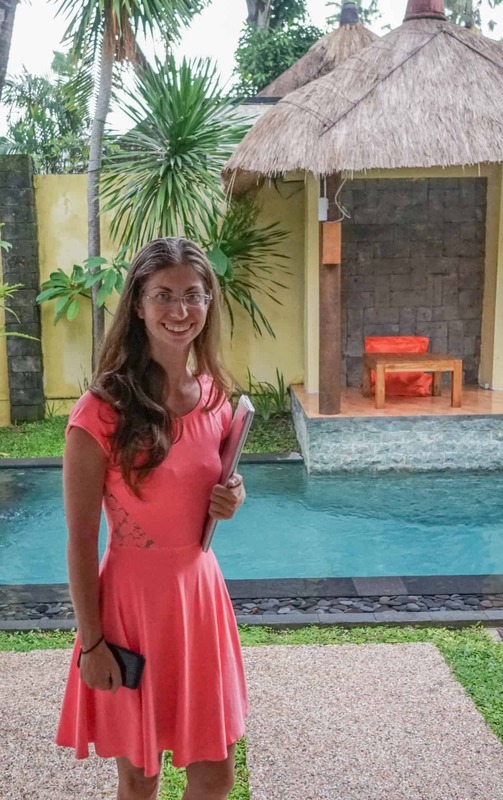 I am the ideal choice for all things concerning travel, blogging, self-publishing, and the digital nomad life! According to your needs, I can assist you either online or in personal meetings. See my FAQ below for more information! Barbara accompanied me on my way into the digital nomad life in 2017. She provided me with numerous advice, from the best location to start, where I would feel at home to taxes and insurance for travelers. She helped me a lot and I will book her again as soon as I have further questions! You know how it is, when you work in your home office. Everyday is the same. No exceptions, new experiences. Thus, it became time for a change. I wanted out, sharpen my senses, fill up my creativity and still be able to work on my projects. That’s why I concerned myself with the life as a digital nomad. And that’s also how I got to know Barbara. Prior to my first trip, she guided me for several weeks. To be honest, I only knew about Indonesia from hearsay. That I would actually live and work there one day was unthinkable. She instructed me about the country, its people and their culture, helped me find a nice accomodation and gave me a lot of advice, that was crucial for the success of my first trip. She even assisted me in preparing and packing. Otherwise, I would have never fit my whole luggage in a singel bag. And I would have payed a fortune for flights, that are actually really affordable if you book them correctly. I can only recommend Barbara as a travel consultant! Even if you think, you know everything, you will be amazed how much more is possible! Can I meet you for a personal talk? On Site: You can contact me and we can see, if our travel routes match up. I am frequently in my home town Frankfurt, in Chiang Mai and Bali. Your best chance will be to meet me in one of these spots once or twice a year. Online: I am available online. I use Zoom for my sessions. Please, download the app if you want to talk to me from your phone. On your computer, you don’t need to do anything. Do I have to book a minimum of hours? No, after a first free meet-up to get to know each other, you can simply book one hour. However, I will offer you special conditions if you book more hours right away. It will be cheaper for you if you decide to book several hours with me from the start. Can I choose more than one topic for the consultation? You can book as many topics as you need. Just keep in mind, that we should discuss one topic per hour. So for several topics, please plan for booking several hours.